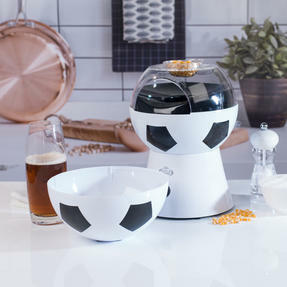 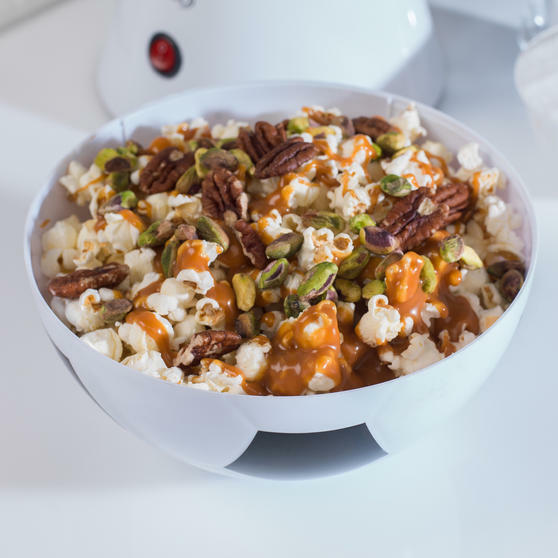 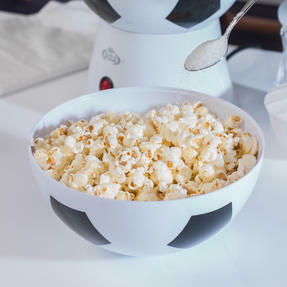 This Giles & Posner football popcorn maker is a unique and fun way to make your own delicious popcorn at home using just hot air rather than unhealthy oils. 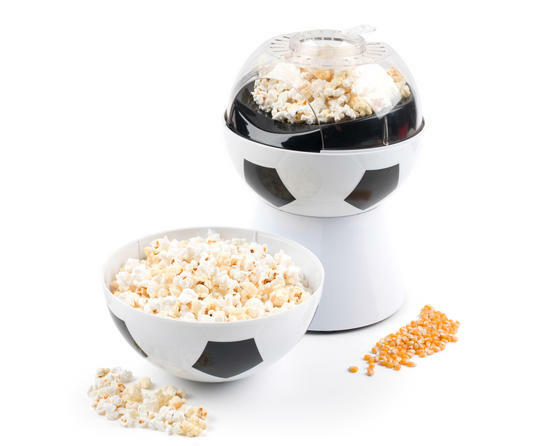 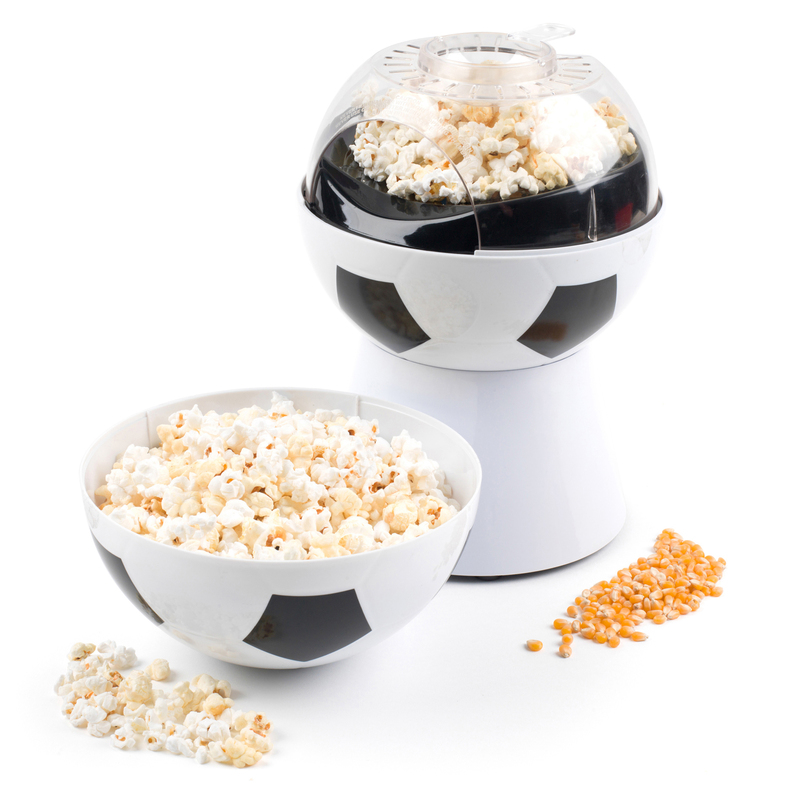 The football shaped design looks great and is perfect for football mad popcorn enthusiasts, with the top of the machine doubling up as a football bowl! 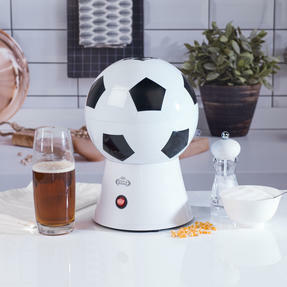 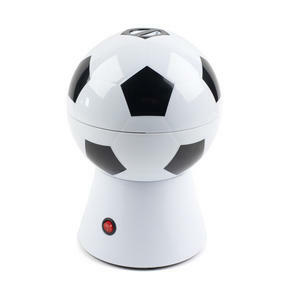 This fun, fantastic appliance is ideal for kids’ football parties, watching Premier League weekend games or for getting prepped for the upcoming summer 2019 UEFA Nations League. The fantastic Giles & Posner football popcorn maker will provide you with the perfect snack while you watch any big game!. Enjoy great tasting popcorn without the guilt, the popcorn is cooked using hot air so there is no need to add any unhealthy oil. 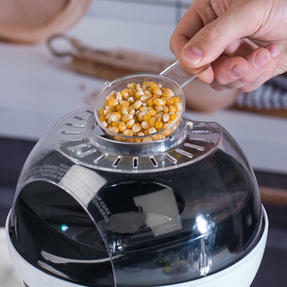 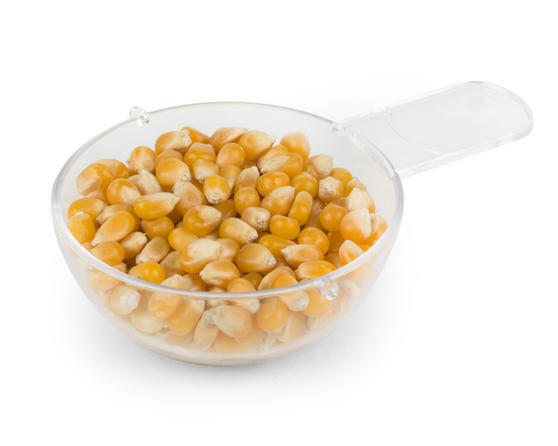 With a handy measuring cup included the machine makes 50 g of kernels in one go and the lid doubles up as a football bowl. 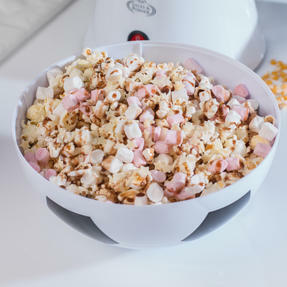 With a great selection of topping ideas provided, you can make various types of sweet or salty popcorn in just a few minutes. Perfect to enjoy while you support your favourite team or an ideal football gift for the next aspiring Messi, Neymar or Ronaldo.